My CrAp ShEEt: I Almost, Almost Won A Mini Cooper!! I was thisclose to winning one of my dream cars, the Mini Cooper on 14 August 2014 BUT Lady Luck wasn't smiling at me. 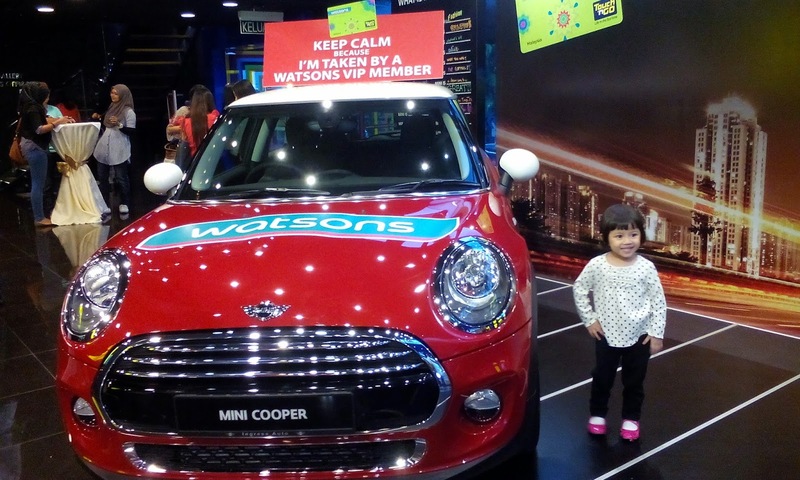 It all started a few months back when Watsons held a contest named Watsons Mini Giveaway. All you had to do was to spend a minimum RM80 in a single receipt including some of the participating brands. 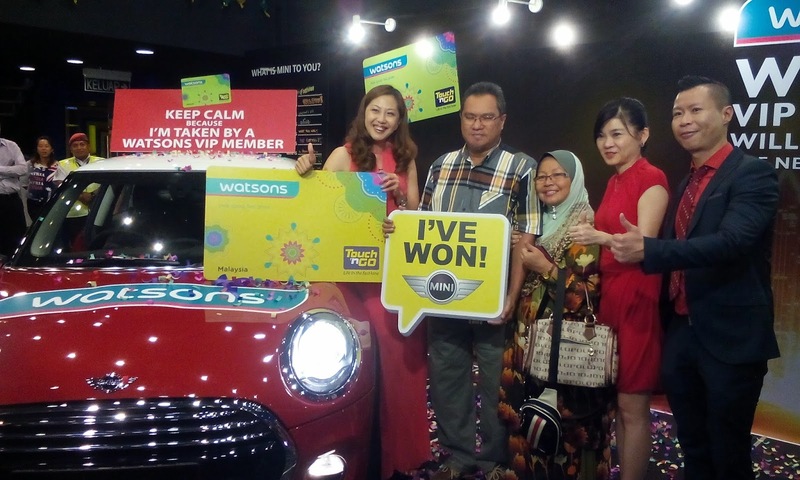 You have to be a Watsons club member to be eligible for the contest. So sometime before we went on our holiday to Perth, we bought the essentials at Watsons KLCC and our receipt was more than RM80. There were no slogans required. 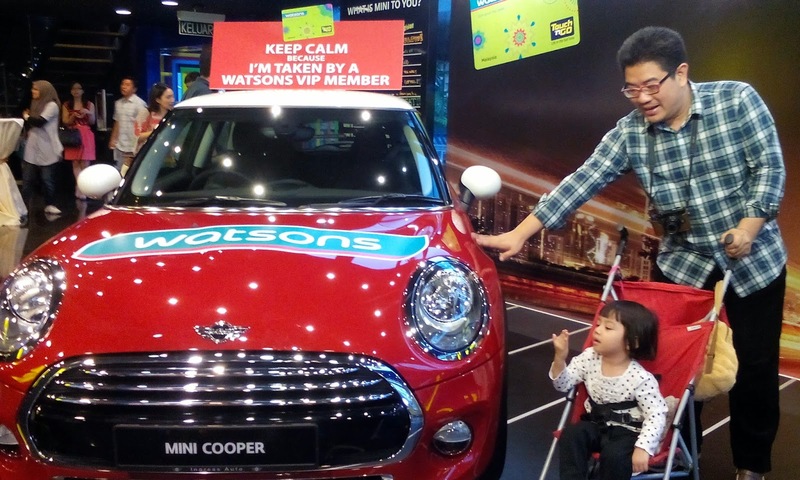 Basically once you swiped your Watsons member card, you are automatically entered into the contest. Time pass by and I honestly had forgotten about the contest. But one day I received this Whatsapp message. I was ecstatic! 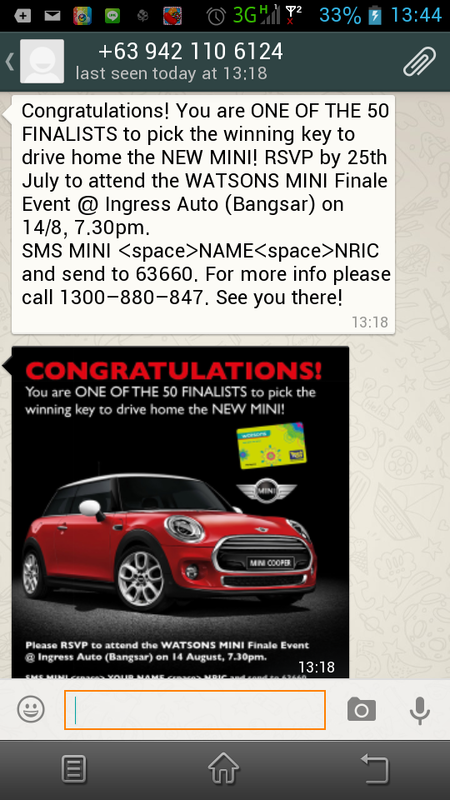 I mean, being the lucky 50 finalists to be in the running to win a Mini Cooper?? You gotta be kidding me, right? Suddenly it felt deja vu. Memories from 2003 came back where I received a letter from Rexona to say that I was one of the 88 contestants for the Rexona No Sweat Challenge and the grand prize of a Perodua Kancil could be mine. I immediately RSVP but I didn't receive any reply from them that I called them the next day just to be sure that they got my RSVP sms. Hey, I have to be sure OK? Hello, it's a Mini Cooper we're talking about here! They said they will check and then will call me. During raya they called me to confirm my attendance and they sent me an email of the details of the event. The days leading to the event, I got so excited and what are the odds that I kept seeing so many Mini Coopers on the road? Was my mind playing tricks on me? It's not that often I see Mini Coopers on the road but as the days get closer, I see more than one Mini Cooper on the road, every day. Thinking positive thoughts, I told myself, it's a sign! And when I pass by a parked Mini Cooper, I'd say in my heart "soon you will be mine". That was how 'crazy' and excited I was. I even asked my boss for permission to leave early on the 14 August so that I can be at Ingress Auto, Bangsar on time. On the day itself, I left office with my colleagues wishing me good luck and my spirits high I picked Babycakes from the nursery, went home and we all freshened up. It rained that evening and traffic was slightly congested but we reached Bangsar Village and parked our car there and even managed to grab a cup of coffee at Nutmeg before heading to Ingress Auto. 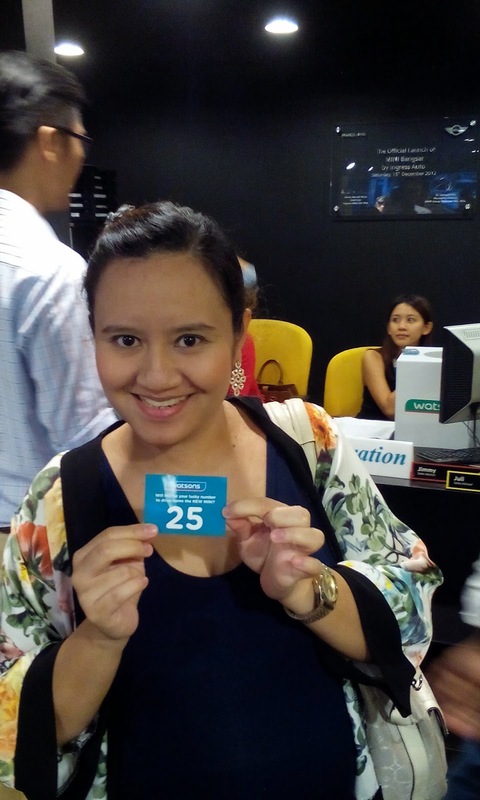 When we arrived, I registered my attendance by showing my Watsons VIP card. They then gave me my 'lucky number' which was 25. I thought, hey, I'm split half in the middle. This could be a good sign. Who knows, right? While waiting for the event to start, they served us some light snacks and drinks. People were mingling around, music was playing. We even took pics with the coveted prize. Just look at those beaming, shiny red car. Drool!!! We even told Babycakes to pray for me, we said to her "kita nak menang kereta ni!". Positivity is the key here, ok? There are 50 finalists that day, each with their own 'lucky number'. After some talks and introduction by Watsons and Mini Cooper's representatives, one of the Watsons' rep picked out 10 numbers from a box. It was nerve-wrecking. I was praying "please pick 25! please pick 25" a million times. They called a few numbers and when they announced "there's a 5 in this number", my heart skipped a beat. Unfortunately it wasn't number 25. Until the 10th number, my 'lucky number' wasn't so lucky after all. Bummer. I would be lying if I say I was not disappointed, sad, devastated. But oh well, guess it was not my rezeki. So the 10 finalists lined up on the stage and each one of them gets to pick a key from a box. They were also asked a very simple question on Watsons. When they got the key, they head over to the car and will have to try to ignite the car. Whoever's key can ignite the car is the winner. He won the car. The brand new Mini Cooper worth almost RM200k. The wife must be so happy. Duuh. Do I envy him? YES, of course!! Who wouldn't?? 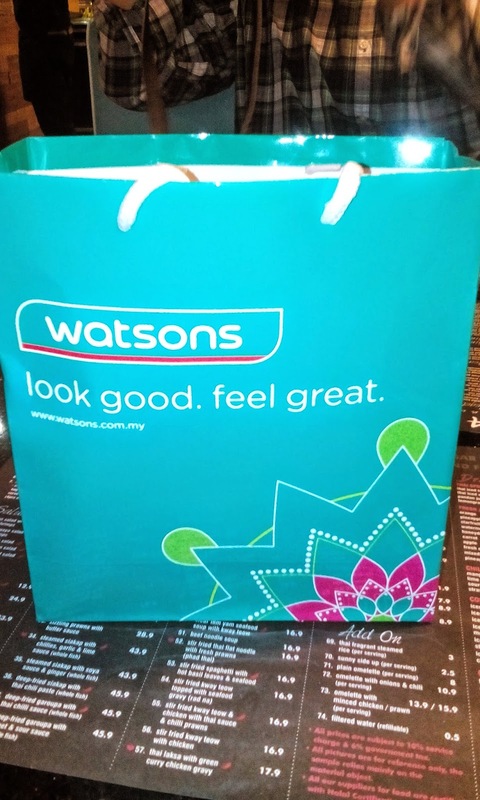 As for the rest of us, we got a small goodies bag from Watsons which contains some products. Not thrilled but what to do? Lady Luck wasn't on my side that day. There goes my dream to drive a Mini Cooper. There goes the song "kereta kecil warna merah....boleh ku bawa ke sekolah...pon pon ponx9...kereta kecil ku berbunyi...marilah adik mari naik...boleh ku bawa jumpa nenek". Hubby kept on singing this song before the event lol. Hubby pacified me by saying positive things. He also encouraged me to enter more contests, keep on entering and never give up. I may not win this time but Insyaallah I will win something bigger in the future. Hi Izyan! My name is Heather and I wanted to know if you would be able to answer my quick question I have about your blog! If you could email me at Lifesabanquet1(at)gmail(dot)com that would be great!